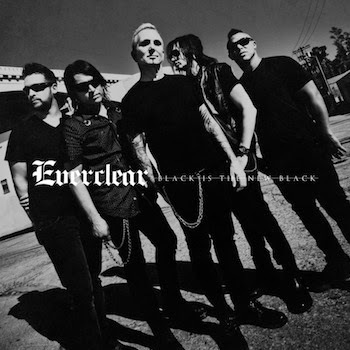 It’s hard to believe that after nearly a quarter century together, and now nine albums into their career, that Everclear could sound this good, which is perhaps better than they have ever sounded (an arguable point), but Black Is The New Black is hard evidence of just that. Frontman Art Alexakis’ recognizable vocals are as brilliantly impassioned and purely emotive as ever and the hooks remain pristine. This time around there is a quantifiable heaviness to this song set (“American Monster,” “You”), a more aggressive alternative edge that is evened out by that traditional Everclear sound we have all come to love (“Complacent,” “Van Goh Sun”). Elsewhere on Black Is The New Black, “The Man Who Broke His Own Heart” should quickly become your new favorite Everclear song, “This Is Your Death Song” incorporates elements of 90’s skate punk and “Simple And Plain” sees Alexakis fusing raps and pop vocals – a bizarre concoction to be sure. If Black Is The New Black does nothing else, it at least proves that it is indeed time to fall in love with Everclear again.